With Jay Alexander in drag and models voguing on the runway to the beat of techno music, Laurence & Chico revisited the 1980s colorful clothes worthy of cosplay fashion while also redefining the Texas big hair. It was futuristic without looking sci-fi. It was as if we walked in a comic con. But Laurence & Chico knew what they were doing. Takeaway all the hardware and all that tulle, you will find wearable pieces like multi-color stripe sweater dress or the orange & blue sweatshirt dress. 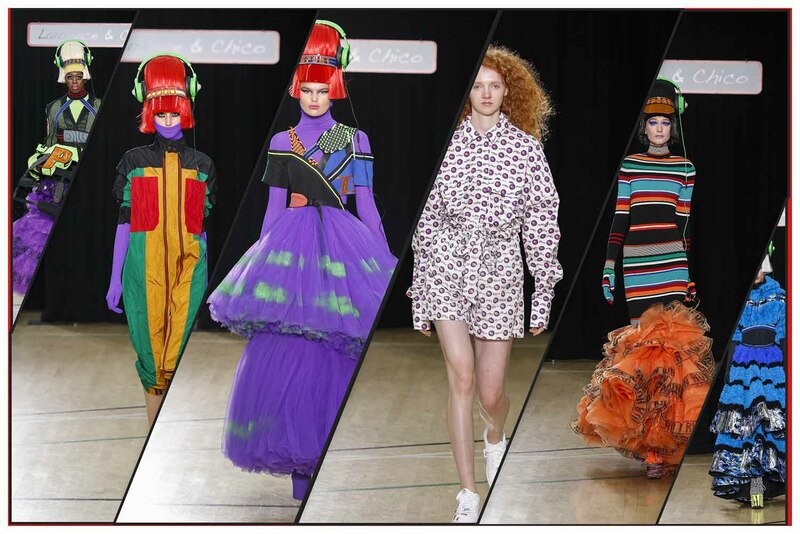 And the best part, they were able to make everything fun as models paraded in seemingly outlandish costumes, while in truth, it was actually a treasure hunt for wearable pieces.